Anyone who has read Room by Emma Donoghue is surely not surprised at all by its success or the Man Booker Prize love it received. After all, the book is completely original in a time when many books seem so like something else you've read before. It is daring and as unashamedly horrific in subject matter as it is entirely lovely and life-affirming. The story, about one little boy and his mother, begins in Room where they live. Yet, as the story progresses, the reader quickly starts to realise that despite the narration of this happy little boy, the world in which he lives is not one where he should stay. And, when an opportunity presents itself, Ma decides it's time to tell young Jack the truth about their home as she needs him to help them escape it. It's a book that keeps the reader guessing, never sure what is going to happen next, and offers numerous terrifying moments and those that fill you with joy. For the adaptation, director Lenny Abrahamson shows great respect for the source material and has put together a stunning cast who he has led beautifully. Author Emma Donoghue returned to pen the screenplay too and has done a staggeringly great job at understanding storytelling in two very different forms. The film captures both the heart and horror of the novel and, though a few details are lost in the conversion, these details are none that are likely to upset lovers of the book. The fundamentals are there and the story remains the emotional roller coaster you'd expect. Another year, another opportunity to head to the lovely Henley-on-sea for more literary goodness. Day one of the festival boasted gorgeous weather and some big names to kick things off in style. First up was the sellout talk by Jane Hawking. Hawking's memoir Travelling to Infinity was what inspired the film The Theory of Everything (which starred Eddie Redmayne and Felicity Jones) and Jane was incredibly honest and open about how it felt to have her life, and that of her family, adapted into a film. Pitched on the front cover as a cross between The Handmaid’s Tale and Mean Girls, Only Ever Yours is so much more than a story; it’s a revolution. In Louise O’Neill’s powerful world, females are manufactured to satisfy the needs of the males, to either provide them with children or satisfy their sexual desires. And if they don’t fall into one of those two categories, there’s always option three. But the girls don’t usually choose option three. This is very clearly not present day. The world O’Neill has written here is futuristic and clinical and desperate. Yet, this story is also alarmingly current. The girls are all ranked according to their beauty. They are in constant competition with each other, desperate to be top of the class. They are always thinking about their food intake, their weight, their clothes, their make-up, their skin. They are taught how they should behave in order to the perfect choice when the males finally show up to make their decisions: they must be respectful and demure, alluring but not forward, dutiful, proper. In short, they must be perfect. Amidst all this, there is one girl who doesn’t think she’s particularly pretty and can’t get rid of the bags under her eyes or the unsettling feeling that she doesn’t belong. Craving the approval of others, she is lonely and wants nothing more than for someone to love her. But she is here to serve and must learn to accept that if she has any hope of making the wife category. When the Young Adult Literary Convention (YALC) gets a headline act, they really get a headline act! This year's exciting event, which ran alongside the London Film & Comic Con, boasted many beloved YA authors, including Cassandra Clare and Malorie Blackman. The highlight, though, had to be Judy Blume, the woman who saw so many book-lovers through their youth! Blume took to the Super Stage for a fascinating Q&A that was somehow endearing, hilarious, unapologetic, outspoken and illuminating all at once. Far From the Madding Crowd is a story of many plotlines, thanks to the insightful writing of author Thomas Hardy. It’s a coming-of-age tale for the heroine, Bathsheba; it’s a romance, with three very different suitors for our heroine; it’s a beautifully observed look at societal expectations of the time in which it was written. The book is a difficult read, with a choppy style, reflective of the serialised nature in which it was first written. Certain chapters are heavy on the narrative and go to great lengths to discuss the intricacies of farming; others focus solely on the farm-hands chatting away while getting drunk. Yet there are also chapters full of drama and a compelling need to turn the page. The issue, really, is that this need is not consistent. Just when you think you're really getting into the book, it suddenly becomes rather tedious again. Despite this, however, the main four characters are so compelling, and the observations so astute by Hardy, that it is absolutely worth a read. Far From the Madding Crowd stands, to this day, as a stunning piece of feminist literature, observing not just the assumptions of marriage on the part of the woman, but the man too. Marriage in those days happened between strangers, with offers of land and wealth (and quite often, it seems, a piano!). For the film adaptation, a simply stunning cast was assembled to take on the key roles of Bathsheba (Carey Mulligan), Gabriel Oak (Matthias Schoenaerts), Mr Boldwood (Michael Sheen) and Frank Troy (Tom Sturridge). They each bring their own charm and insight to their respective roles. Certain personality traits have been toned down for the adaptation but it really works well, helping to keep the story moving in a more plausible manner. One such example is the fascinating character of Mr Boldwood; he appears in the book to be mentally unstable, occasionally violent and alarmingly intense and threatening, driven by a desire that looks set to consume him; in the film he is a man of circumstance, emotionally stunted due to being an unmarried man of wealth and good standing. The attention he gets from Bathsheba seems to spark him back into life and the result is a heartbreaking tale of unrequited obsession that is far more compelling due to the endearing edge Sheen manages in the role. ‘Creative differences’ between author and director, casting changes, rating challenges, debate over the content – Fifty Shades of Grey has had it all! But does the film – based on EL James's novel – live up to its notoriety and actually offer anything worthwhile to cinematic audiences (beyond a few awkward giggles)? Here’s what people had to say on the adaptation in the latest #BookVsFilmClub. Nominated for the Man Booker Prize 2014, this book is a miraculous work of fiction so rooted in reality and so full of heart that it is one best read in as few sittings as possible. This is a book for which you should be prepared to soak away hours in a cold bath! There is a family: two parents, two daughters, one son. When Rosemary, our narrator, reaches five years old her sister vanishes and nobody seems to want to talk about it. A few years later, her brother does too. She is left behind and it is the need to discover the truth behind these disappearances that makes this such a gripping read. Rosemary herself is quite comfortable exploring just how unreliable her own telling really is. She was, after all, only five years old when her sister was sent away and she can only tell her part as best she can. There has been lots of talk about the big ‘twist’ in We Are All Completely Beside Ourselves – it’s even mentioned on the cover itself – and it’s easy to see why. Yet the reveal itself is not quite as shocking as many might have you believe. If anything, it just clarifies matters and makes the rest of the book that much more compelling thanks to this newly added layer. This is a book that needs to be read in the order your narrator chooses to reveal it and knowing something before she is ready to share it just doesn’t seem right. We Are All Completely Beside Ourselves is an immersive work of storytelling, allowing for the very grey area of humanity to be explored without anyone being painted as the villain or hero. People make mistakes along the way – some more than others – but the majority are driven by good intentions. 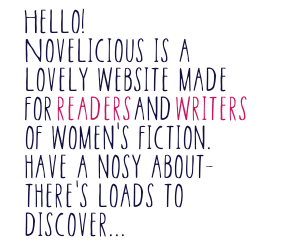 We don’t do things by halves here at Novelicious. At the end of last year, while many were taking a look back at the best books of 2014 (of which there are many! ), we decided to look a little further and check out our favourite books from this century. The list was long and varied but we somehow managed to narrow it down to our top five choices. So which books caught our attention? Overall, the real winner here is YA fiction, which has had a massive surge in recent years thanks to the success of the Harry Potter, Twilight and Hunger Games books – to name but a few. Yet it wasn’t just teenagers reading them, as our longlist shows. The first two Suzanne Collins books made the longlist and there was also mention of other teenager-led stories like The Book Thief and The Boy in the Striped Pyjamas. Adults were clearly just as blown away by these stories as younger readers (well, we certainly were!). There’s a lot of warmth to be found, with stories like Rachel’s Holiday by Marian Keyes being mentioned, but it seems like what we really love is a good cry, as some incredibly poignant, thought-provoking and moving literature also found its way onto our longlist, including Me Before You by Jojo Moyes, The Kite Runner by Khaled Hosseini and Life of Pi by Yann Martel. Well the #bookvsfilmclub certainly got a bit heated this month as Gillian Flynn's divisive novel Gone Girl arrived at cinema screens across the world. The tension was evident, the opinions ready to burst free. The club were incredibly impressed with the film, with many actually preferring it over the book (a rare occurrence for a book vs film club!). @hmcami said that Gone Girl "will be one film I'll be recommending over the book. Don't wait go see it now you won't be sorry". @CescaWrites tweeted: "LOVED this film. Even better than the book. And I NEVER say that." Cecelia Ahern has done pretty well with having her books adapted for the big screen. After P.S. I Love You, it is now time for Love, Rosie (originally called Where Rainbows End) to reach cinema screens - and we were there to discuss the new film at the world premiere in London's Leicester Square earlier this week. The epic love story of two best friends who just seem to keep missing each other in the romance stakes stars Lily Collins (The Mortal Instruments) and Sam Claflin (The Hunger Games: Catching Fire). Though the author was not involved in the adaptation process, Ahern did get to visit the set. "I was just kind of a stalker fan on set," she joked. She went on to say that she did actually manage to get a cameo in the film but it was sadly cut. We can only hope that it makes the home cinema release! Ahern was evidently delighted with the cast, explaining: "The chemistry between Sam and Lily's beautiful. You had to believe that they were friends for this amount of time . . . on and off screen there was just this really cool vibe between the two of them." "It's funny and it's sad. It's really moving and it's naughty," she added. It clearly wasn't all fiction, though, as the scene where the prom is filmed was where Ahern actually had her prom – a moment which the author found rather surreal! After the very passionate reactions to Before I Go to Sleep by SJ Watson – and the film adaptation which starred Nicole Kidman, Colin Firth and Mark Strong – it’s time to prepare yourself for the next Book vs Film Club pick: Gone Girl by Gillian Flynn. The film stars Rosamund Pike and Ben Affleck in the lead roles and the trailer paints a dark and intriguing picture indeed. The book has already sparked plenty of debate, with many either loving or hating it and some taking issue with the ending. Yet, with the adaptation due out in early October, more debate is sure to arrive. It seems Flynn has changed the ending for the film! With the big-screen adaptation of his (yes, his!) novel Before I Go to Sleep out today, author S. J. Watson took the time to answer our questions about how his novel came about and just what it felt like to have his work adapted for the big screen (and meet the impressive cast!). It sprang from an obituary I read about a man called Henry Gustav Molaison, who died in 2008. He’d been unable to form new memories since undergoing surgery for epilepsy in 1953, and it occurred to me that he must have woken up every day thinking he was still in his twenties. I thought there might be material there to write a novel, and sure enough over the following weeks more and more ideas started to develop. I think the best ideas are magnetic, they attract other ideas to them. What was your journey into being published like? It's been an impressive one, especially for a debut author. I met my agent Clare Conville on the Faber Academy course I did, when she came to talk to us about her role as an agent. She liked the premise of my novel and asked to see it when it was finished. Luckily she loved the finished book and then her enthusiasm sold it to publishers around the world. For me that part was easy, but that’s because I’d worked extremely hard to make the book as good as it could be before I showed it to anyone. I've spoken to many people who are surprised to learn you're a male writer! Was it always your plan to write a female protagonist? Yes! Still people are surprised. My original idea for the story was for a man, but then I saw an image in my head of a woman, staring at her reflection in the mirror and realising with shock she is not the twenty-something person she thought. From there, the story grew. How did you react when you found out Before I go to Sleep was being made into a film?